As much as following tourist guides and other travel blog posts can be a safe way to prevent bad meals, it can be quite a limiting cycle as it prevents you from discovering new food spots while you're searching for that specific shopfront and limits your food path to one already trodden. 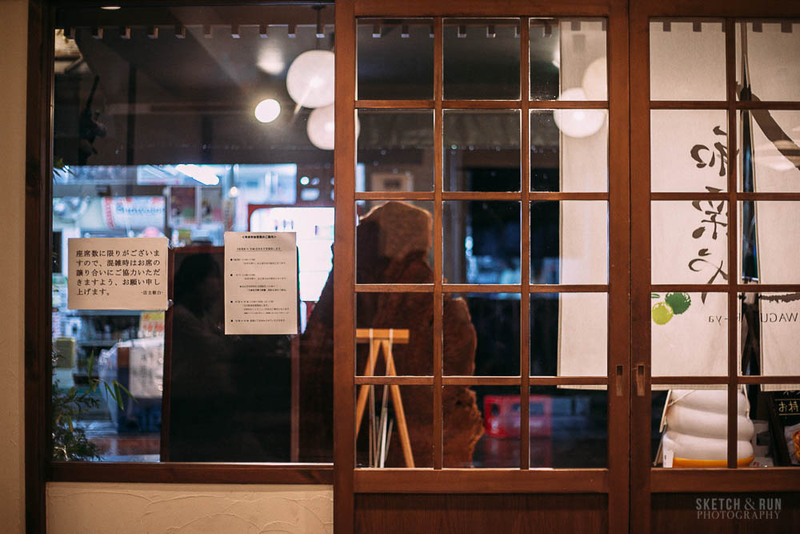 Thank goodness we strayed from the itinerary, so to speak, and ducked inside Waguriya (和栗や), a little dessert shop in Yanaka Ginza and a definite recommendation for your Tokyo travels. Winter is chestnut (kuri 栗) season in Japan but if Waguriya's name is anything to go by (literally 和 = Japanese, 栗 = Chestnut, や = shop), the store specialises in chestnut presumably all year round. 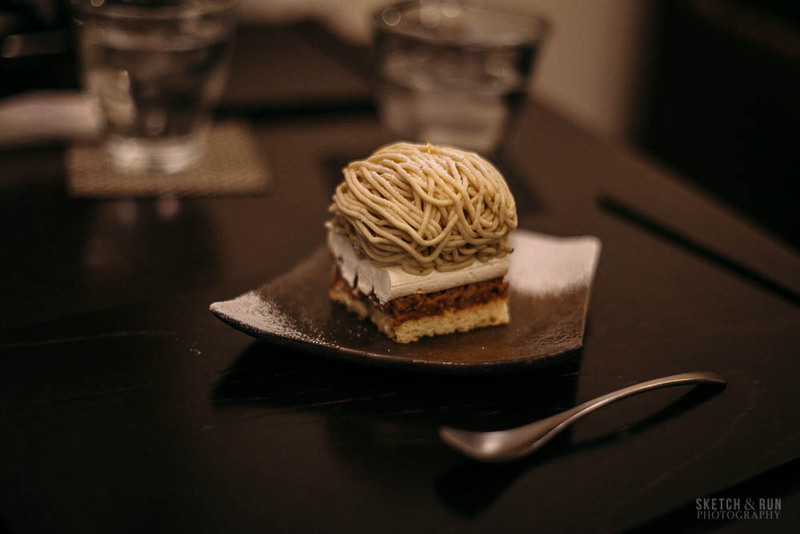 There are also other traditional Japanese desserts with a modern, Western twist and famous Japanese green tea. The traditional roots were immediately obvious from its minimal, tasteful furnishings to the gorgeously made plates, cutlery and glasses. The top layer of the 'Mont Blanc' was composed of strings of creamy chestnut - quite sweet but mostly a natural sweetness. Fresh cream separated this layer from the darker layer, which was still a chestnut flavour but less finely ground and more vivid in flavour. This was all supported by a super crumbly, biscuity base. The parfait was an even more complex dessert, despite its diminutive size. There's a biscuit base at the bottom, along with slivers of meringue for some variation in the texture, as well as banana pieces. I usually dislike banana or banana flavours in any dessert but this pieces were not quite ripe, meaning the flavour was very light and didn't dominate the chestnut. I suspect it was added for its interesting semi-firm texture. The whole parfait was topped by a sweet chestnut paste, along with cubes of yellow chestnut. I'm not sure if they're cooked in different ways or if they're different kinds of chestnut but it's quite amazing how many different forms it can take. You'd think the flavour would verge on being one-note but the interesting textural elements prevent it from being so.